Happy Monday loves, hope you all had a fantastic weekend! It’s been forever since the day I’ve been on the blog and it’s sooo good to be back! Finally I found a quiet minute to post something here. My schedule has been a little hectic lately, working on custom projects, packing for the move (yep, we are moving again and the idea of packing mess drives me crazy) but I did manage to paint this illustration yesterday. 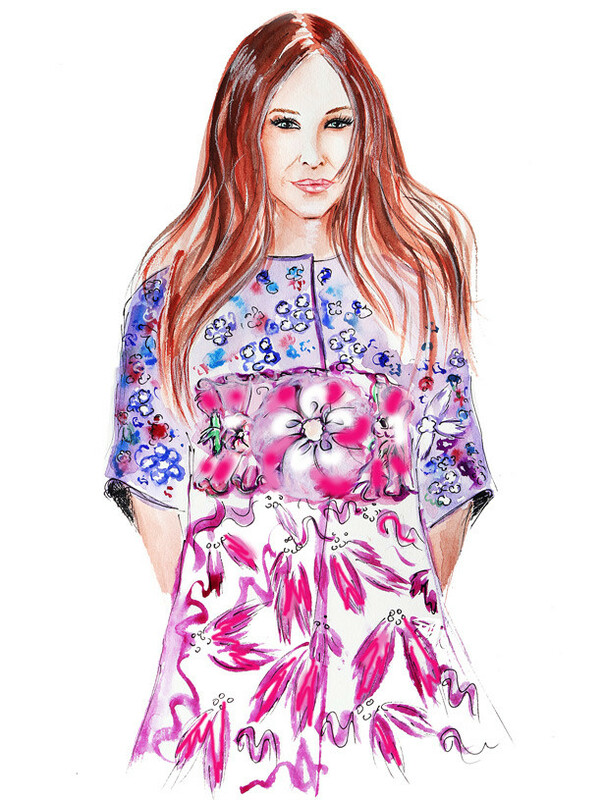 The sketch is inspired by always beautiful Sarah Jessica Parker wearing Mary Katrantzou coat. Have you seen Mary’s collection? I’m speechless how gorgeous it is, every single piece is the work of art!!! Don’t forget to link up your look and check out who’s illustration will be posted this Tuesday. Thank you from the bottom of my heart for the continued support. 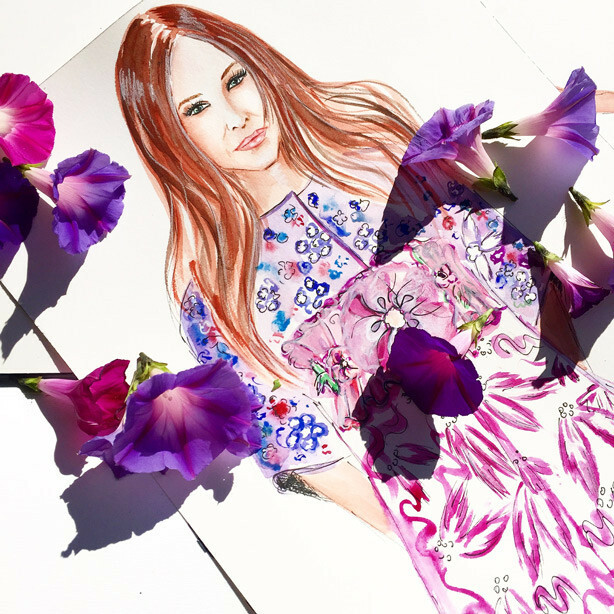 This entry was posted in illustration, style and tagged fashion illustrations, Sarah Jessica Parker illustration on October 20, 2014 by Elena Fay. Awww thank you! I’m glad you like my sketches! your illustration is a work of art…love you’ve portrayed the design so well! I’m very flattered, thanks a lot for your kind words! Gorgeous drawing as always Elena!!! Thank you so much my dear Rebecca!!!! Thank you so much Cynthia, your words mean a lot to me!!! Beautiful illustration! I love all of the colors you used. YOU are sooooooo talented! Love it! Please stop by the blog to enter the SUNNYband giveaway. Wow I am so glad I stumbled upon your blog. You are so talented and I love your sketches! !